A little while back I was sent some goodies from the natural brand Surya Brasil. With the World Cup on and all the worlds eyes on Brazil I thought what better time then now to talk about it. Founded in 1995, this brand stands natural beauty in the best way possible, and they are not afraid to back it up with third party certifications (and man they have a lot of them, PETA, ECOCERT, Vegan.org, transfairusa.org, and many more). Sapien Women is their latest collection which all features the same scent which is slightly fruity and slightly nutty. 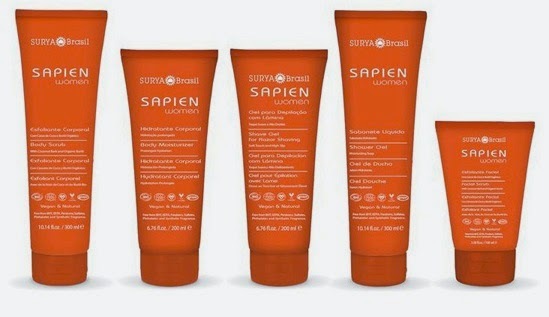 Sapien Women Body Moisturizer - This is a light and creamy moisturizer that is fantastic for me in the warmer weather. With Capuaçu and murmur butters in it your skin feels nourished but not heavy. No greasy or heaviness to it at all. Just a light refreshing moisturizer, perfect for those who love lotions and not creams. Sapien Women Shower Gel - This shower gel is sulphate free and contains aloe vera and vitamin E. It lathers extremely well and cleans just as well. My skin feels soft and clean, not stripped and dry after using it. Sapien Women Body Scrub - Filled with natural exfoliants from coconut bark and organic buriti. It is a creamy exfoliant that works well at making my skin feel fresh and smooth without being wrought. I personally like applying to my dry skin before getting into the shower for a better scuffing experience. Sapien Women Facial Scrub - This scrub is made with the same coconut bark and organic buriti to help remove dry skin and impurities, yet it is soft and gentle enough for your face. 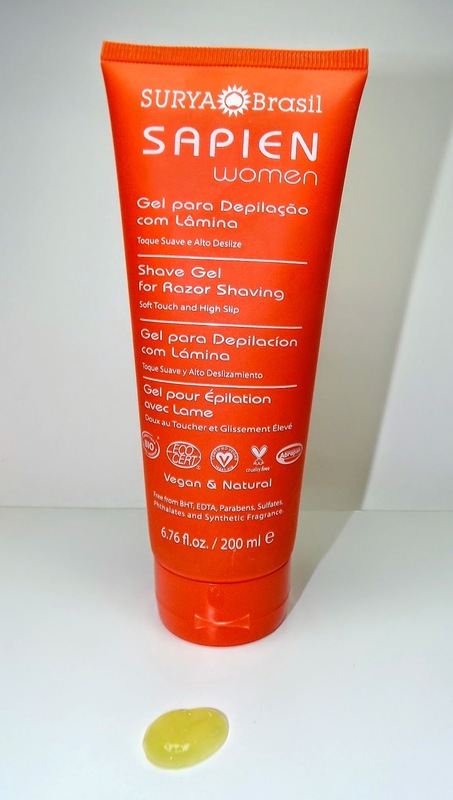 Shave Gel - This is a gel that is fantastic for shaving just about anywhere a woman needs to! With no alcohol or sulphates it makes a fantastic foam substitute. Aloe vera and vegetable glycerin helps keep your skin moisturized and stops the gel from drying on your legs/arms/bikini area while you shave. Now I was also sent some hair, face and body products from their other lines. 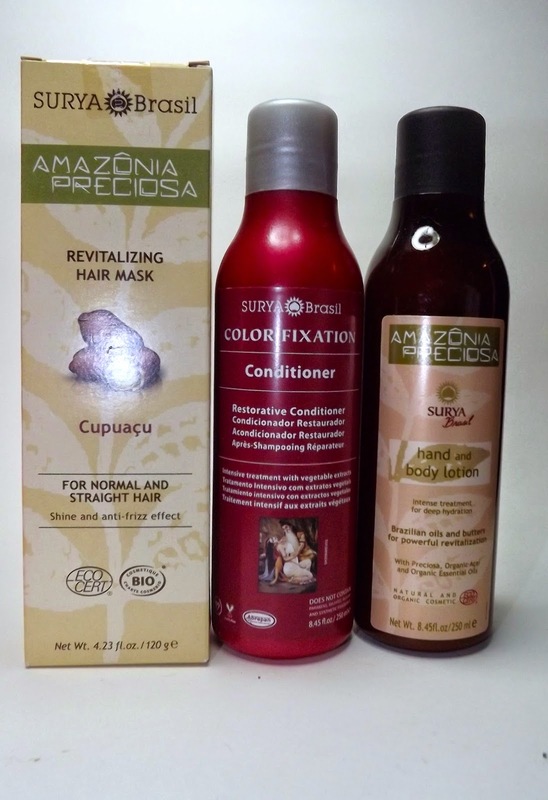 Amazônia Perciosa Revitalizing Hair Mask - This mask is meant for normal and straight hair and is loaded with goodies like cupuaću butter and lots of vitamins. What is doesn't have is silicones. It is thick and fellss fantastic going on the hair. I guess I am just so used to silicones in my hair masks that this just feels not too great when I am done. I've tried it several times and while I am not blown away with it, I do like to add it to other hair masks to boost them and give them more effect…and when I do that I love the results. On its own….not so much. 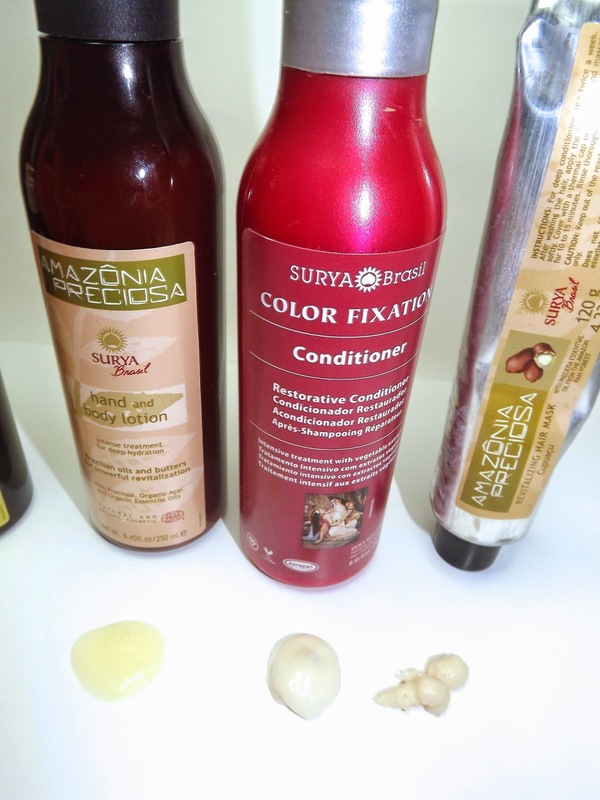 Color Fixation Conditioner - This conditioner is intended for colour treated hair, hey I have colour treated hair. Made with moisturizing botanical ingredients to restore brilliance and vitality to damaged and colored hair. So what did I think? meh. Once again silicones are definitely what makes conditioners make your hair feel smooth and silky, without them I just don't feel that same level of satisfaction when conditioning. I guess I am just not truly a natural girl when it comes to hair care. Amazônia Perciosa Hand And Body Lotion - This lotion is slightly thinner than the Sapien Women line but smells fantastic. Made with macadamia seed oil, uccuba nut butter and cupuacu butter it is intense in what it does deliver and how well it does it. 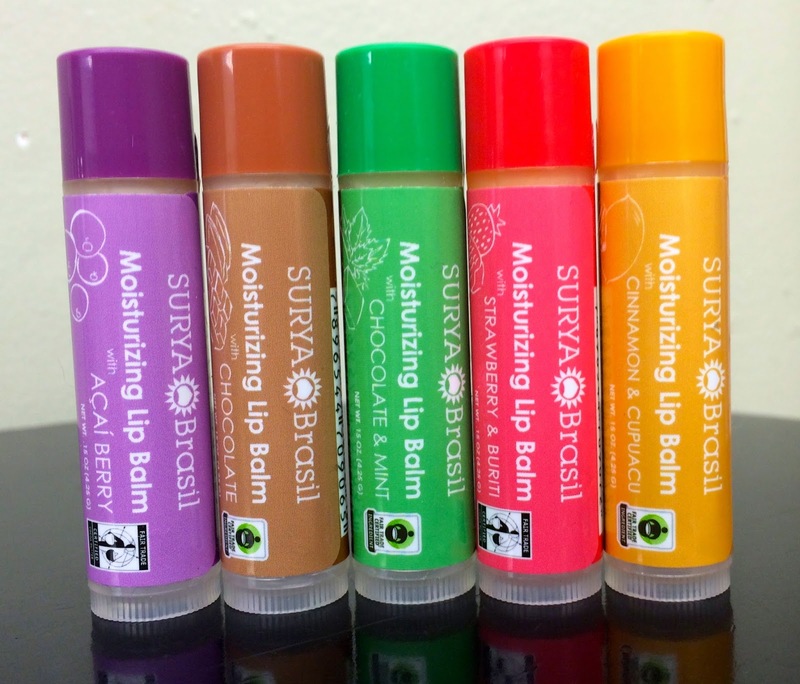 Lip Balms - If you're a strict vegan you probably find it hard to find a good lip balm that is really vegan (no bees wax) and maybe you want no parabens and no paraffin wax…well this might just be the lip balm for you. I personally love the cinnamon version and the mint chocolate (I'm a mint chocolate fiend). Oveall I really like Surya Brasil, they are eco conscious, fair trade, and animal friendly, plus they back them selves up. While their hair care didn't wow me I am sure those who are looking for silicone free products actually will.